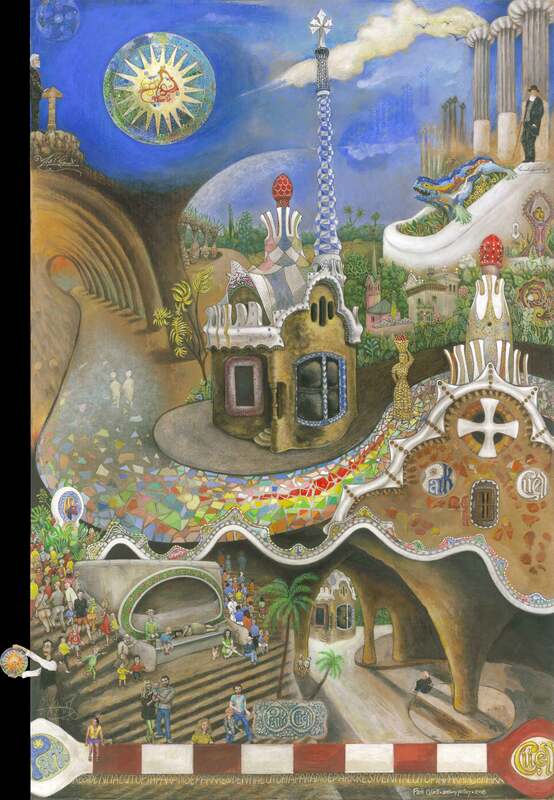 Arriving in Barcelona in the 1980’s, Gaudí’s Park Güell was one of my favourite places to visit. I loved the fairy-tale houses at either side of the main entrance and I would sometimes sit opposite in the shade of the artificial cave to contemplate them. This grotto had been designed as shelter for arriving motor cars and it’s where you’ll now find me sitting in the painting. My challenge has been to paint a fantasy scene in a realistic style that includes all important elements of the park; a kind of dreamed recollection. After designing the basic composition I worked for a further ten months painting the final work.